A few weeks ago we received a parcel chock full of loveliness in the post and I had three very excited little boys scrambling to see what was inside. 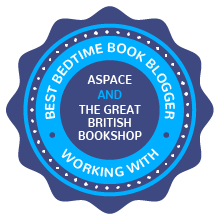 ASPACE and The Great British Bookshop have started the Bedtime Book Campaign to find the top ten bedtime books and we were lucky enough to be involved. As part of their campaign we were sent 10 children’s books, alongside lots of other bedtime goodies, that the boys could read to their hearts content and put to the test. Every bedtime we started working our way through them and seeing which ones held their interest and which they asked to read again and again. Me and my husband even had the chance to say which we enjoyed, I think all parents have books which they look forward to their child picking! Some were already firm favourites in our bedtime story routine; The Tiger That Came To Tea, The Gruffalo and We’re Going On A Bear Hunt have been read over and over to Lucas and now the twins too. Each night before bed I change them into their pyjamas (we were also sent the cutest PJ’s from M&S which they love) we sit on the twins bedroom floor while they pick a couple of books to read. I try and keep it to around two with the twins for now and Lucas has discovered he can sit and listen to their bedtime stories, therefore adding more to his evening. Once Boo and Bear have had their milk and are tucked up in their cots we take Lucas into his room and one of us will read his bedtime stories. We have a limit of three, which sounds a little harsh that we are limiting him but otherwise we really would be there all night. Sometimes we read his book from school and then he can choose the rest. We have read to him every night since he was a tiny baby and I hope to be doing it for many years to come yet, I think it helps him to switch off for the night and he really does have a love of reading which is so important. 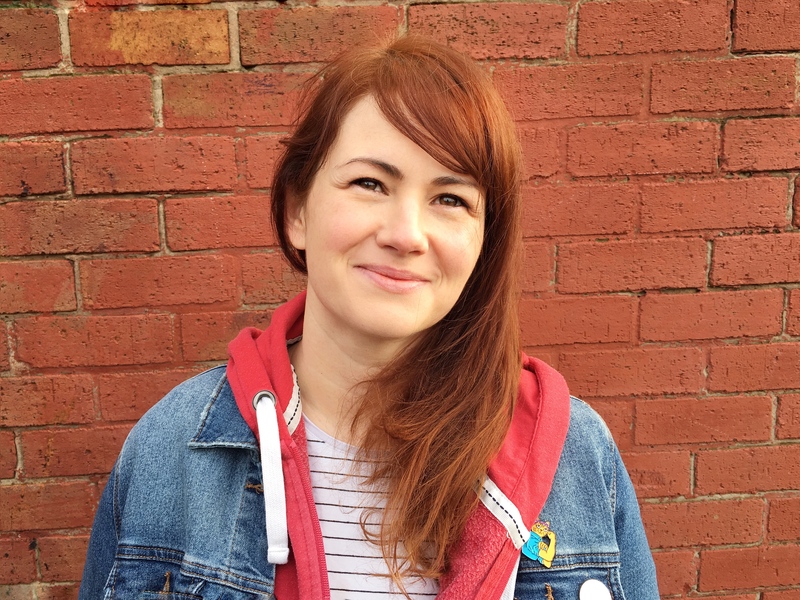 Rachel Lyon, author of I Wish I’d Been Born A Unicorn has been interviewed by ASPACE and says “The bedtime story is a very special time for parents and their children. It’s a real bonding experience.” You can read more of the interview on the ASPACE website and I love how she remembers her parents reading to her. I still love the books my Mum read to me, she did the best voice for Gollum in The Hobbit! It is one of the main reasons I was so sure I would always read a bedtime story to my boys. Out of the books that we were sent there were only a couple that didn’t really hit the mark with my boys, most of them have gone straight onto the bookshelf and we are still reading them now. At the moment Lucas loves I wish I’d Been Born A Unicorn and No Matter What. Both of these are really sweet with a lovely message and I hadn’t come across either on them before. They are nice for me to read as much as Lucas loves to listen to them and he has been totally engrossed in the story of each of them. Boo and Bear were more taken with I Will Never Ever Eat A Tomato and We’re Going On A Bear Hunt. Boo especially loved the Charlie and Lola book and I think the illustrations drew him in as he would sit still for ages just pointing at the drawings of food and rockets! Bear was more interested in We’re Going On A Bear Hunt, he loves to shout out splash for the river and join in with all the sounds as they go on the bear hunt. These were all ones I enjoyed reading to them too but I had wished they had shown more of an interest in Where The Wild Things Are and The Jolly Postman as they are favourites of mine. I don’t think you can ever go wrong with The Tiger That Came To Tea or The Gruffalo either, all three boys love these books. 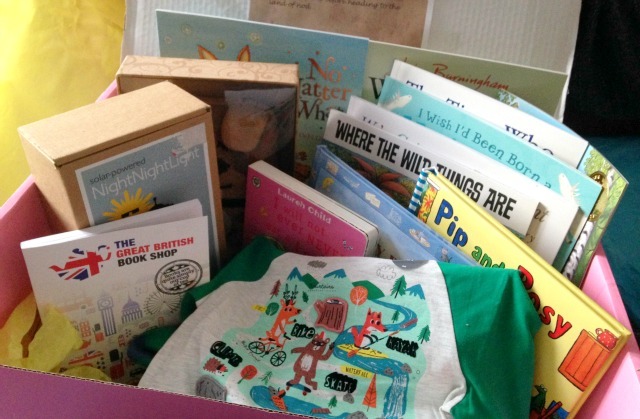 The Great British Bookshop helped to choose the books for the Bedtime Book Campaign and they have kindly offered a 10% discount code ‘BEDTIME’ for me to share with you, perfect for choosing your own bedtime books. I’d love to hear if you have read any of these books or which bedtime stories are your favourites. What a fabulous selection of books. Ours adore bedtime books too and we could go on forever, we have just started with Roald Dahl chapters some nights too! Ah Karen…you will love it! I can’t tell you how nice this parcel was, the boys faces totally lit up when we opened it, your girls will be made up. I’ll look forward to reading your post about it all!